Vehicle tracking system facilitates you to keep your eye on your vehicle’s movement. Using this system you can map your vehicle anywhere in the world. 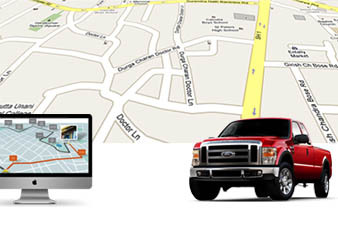 We’ll help you find the right vehicle tracking solution to manage and control your business. Using this system you will not only able to track your vehicle but also can monitor start-stop of vehicle, fuel consumption, employee time, travelling time and many more things. Vehicle tracking system works on base GPS and GPRS network. GPRS system gives the latitude and longitude of vehicle’s position at some interval. This information is send to server database using GPS system and from that server the user can monitor vehicle online. Can get current position of vehicle with driver at any time. Can get status of vehicle either it is running or stopped. Web based application – able to use anytime and anywhere. Historical journey data is available. Unauthorized or off time use of vehicle can be controlled. Easily available on any computer or mobile.